In the previous article on Christian Zionist myths, we deconstructed two popular myths that prevail in modern evangelicalism. Many if not most evangelicals are firm believers that Jews are the descendants of the ancient Israelites and thus have an intrinsic right to the land of the Middle East. This claim is buttressed by the idea that the formation of the state of Israel in Palestine was a direct fulfillment of prophecy that must precede the second coming of Christ. But both of these myths have foundations of sand. Neither one can hold up to close scrutiny. In this installment on Christian Zionist myths, we’ll investigate some additional Zionist claims in the realm of politics. Specifically, we will deconstruct the myths that America has been blessed by her historic support of Israel and that Israel has been a consistent ally of American interests. The primary text that Christian Zionists appeal to in defense of this idea is Genesis 12:1-3. Now the LORD had said unto Abram, Get thee out of thy country, and from thy kindred, and from thy father’s house, unto a land that I will shew thee. And I will make of thee a great nation, and I will bless thee, and make thy name great; and thou shalt be a blessing. And I will bless them that bless thee, and curse him that curseth thee: and in thee shall all families of the earth be blessed. In this passage, God is speaking to Abram (before he is renamed Abraham), commanding him to leave his homeland in Ur and to go to the land of Canaan, where God would bless him and his descendants. Christian Zionists interpret this passage to mean that the Jews, as Abraham’s descendants, have a permanent covenant relationship with God, such that anyone who blesses the Jews under any circumstances will be blessed, and anyone who curses the Jews under any circumstances will be cursed. Many Christian Zionists imply that these principles apply regardless of whether the Jews in question are Christian believers, and regardless of the actions taken by the Israeli state against her enemies. I see several problems with this interpretation of the passage in question. First of all, there is the question of Jewish descent from the tribes of Israel, which was addressed in the previous article. Since there is good reason to consider modern Jews to be descended from the Khazars, this would automatically nullify any argument that the state of Israel must be supported on the basis of Gen. 12 today.2 Secondly, it is true that God made this covenant with Abraham and his covenant seed, but this was made with Abraham’s seed “according to the promise,” and must be seen in the larger context of redemptive history. This is the whole message of the book of Galatians, which is summed up in Gal. 3:29: “if ye be Christ’s, then are ye Abraham’s seed, and heirs according to the promise.” Paul also makes this clear in Romans 9-11, where he remarks that not all are Israel (covenantal) that are of Israel (physical) in Rom. 9:6. Paul likens covenantal Israel to an olive tree (Rom. 11:15-24). The original branches were the tribes of Israel, who have been cut off due to their unbelief. The Gentile nations have been grafted into the covenant by belief, and remaining in the covenant is contingent upon faith. Since Israel today is a secular state that rejects Christianity, it is not a part of the covenant, and therefore the promises that God gave to Abraham in Genesis 12 would not apply to them. Another approach that Christian Zionists take with Gen. 12 which some might argue is that God has a physical chosen people (modern Jews) and a spiritual chosen people (the Church). The promises made to Abraham would be accorded to his physical descendants, presumed to be modern Jews. Yet the problems with this are similar to the problems listed above. We have reason to doubt that modern Jews are synonymous with ancient Israelites; additionally, we lack reason to believe that God has two chosen peoples. There is one covenant made with covenantal Israel, who is the Church (Gal. 6:16). This covenantal Israel inherits the earth, not just some real estate in the Middle East (Matt 5:5; Rom. 4:13). Another problem with this view is that Abraham’s physical offspring includes much more than Israelites. If this promise can be extended by physical descent alone to all of his descendants in perpetuity, then why could this promise not also be applied to most of the Near Eastern and Western world? Most of these nations are descended from Abraham, so why narrow it to one branch of Abraham’s descendants? For example, if this is to be applied to the current Israeli-Palestinian conflict, why could we not argue that we are obligated to support the Palestinians, who are themselves likely descendants of Abraham (indeed, more likely than modern Israel)? If one appeals to the faith of the ancient Israelites, then we are right back where we started, since past faith would not trump current unbelief. The tribes of Israel would still be cut off and would not be members of the covenant any more than other groups of unbelievers. Has America Been Blessed for Our Historic Support for Israel? When weighing the implications of a particular interpretation of a passage of Scripture, we should ask how this interpretation fares in the development of actual history. If the Christian Zionist interpretation of Genesis 12 is accurate, then we should see strong historical evidence that America has been blessed because of our consistent support for Israeli interests. Is this what we see? A major difficulty with the idea that America’s historic success and prosperity is derived from support for Israel is that America has existed as an independent political country since 1776, while Israel did not become a country until 1948. Can American prosperity be attributed to support for a country that did not exist until recently? The suggestion seems absurd! Furthermore, it seems that American prosperity has been steadily declining since the end of World War II when the Israeli state came into being, as evidenced by our enormous debt and loss of world power. Perhaps some could argue that although modern Israel was not an organized country until recently, America has been blessed due to her historic support of Jewish interests. This is also difficult to affirm in light of the fact that during the colonial period of American history, religious test acts prevented Jews or other heretics from voting in elections or holding public office. Furthermore, when we realize that Jews have managed to find themselves disinvited from many European societies throughout history, we can establish a clear pattern: if we compare dates for Jewish expulsions with the general history of the regions involved, we can see the noteworthy trend that countries have tended to prosper after Jewish influence has waned, exiting from the destructive money-lending and usury concomitant with the presence of large Jewish populations. A classic case is the expulsion of the Jews due to their alliance with the Moors from Spain by Ferdinand and Isabella. It was after this that Spain experienced her golden age and conquered half the planet. How has this played out in American history? For most of American history after the revolution, Jews were largely ignored. Religious tests restricting their role in public life were removed, yet most Jews still lived lives that placed them outside of America’s mainstream. Almost all American statesmen throughout our golden age have not been Jewish. However, as Jewish influence has advanced in politics, the media, and the entertainment industry, we have experienced a corresponding steep decline over the recent decades. Frankly, then, there is no basis for the belief that America’s historic success has been the result of a supportive disposition towards Jews or Israel. America’s greatest days came at a time when Americans had a strong sense of their own identity – when Americans self-consciously identified themselves as white and Christian. Has Israel Historically Been an Ally of American Interests? Some contend that Israel is America’s only or greatest ally in the Middle East. In the wake of consistent threats of terrorist attacks (which prove to be very useful to the emerging police state), we hear more and more about how support for Israel is essential for America’s success in combating terrorism. 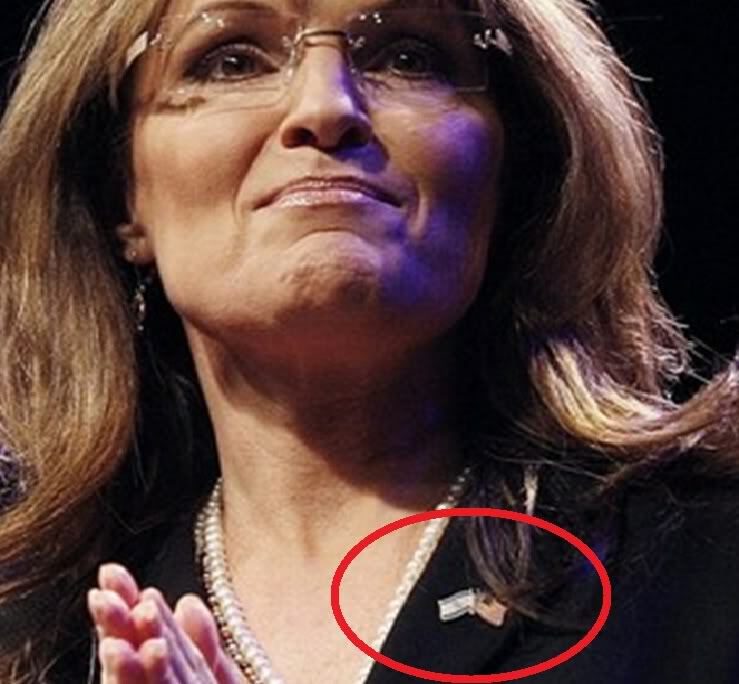 Some politicians, such as former Republican Party vice-presidential nominee Sarah Palin, are so convinced of this that they opt to fly Israeli flags in their offices!3 Is this adulation of Israel merited? Has Israel been a consistent ally of American interests? Many people are deeply committed to the idea that Israel is America’s strongest ally; however, a brief investigation of the history of Israeli/American interests shows that this idea is based upon misconceptions and propaganda rather than the truth. The influence of the Israel lobby over American policy is evident from the history of the ascendancy of AIPAC (the American-Israeli Political Action Committee). Since the inception of AIPAC in the early 1960s, there has been a concomitant increase in American support for Israeli interests. According to the aforementioned book, The Israel Lobby, Israel receives about $3 billion annually in direct aid. Unlike other countries receiving aid from the United States, Israel receives her entire foreign aid at the beginning of each fiscal year, which allows them to earn interest on the money that they are given. Also unlike other countries, Israel is the only one that doesn’t have to account for how it spends the money, rendering it impossible to make sure that Israel doesn’t spend money in ways that the United States might oppose. Israel has access to American intelligence that other NATO allies are denied, while the United States turns a blind eye toward Israel’s development of nuclear weapons. Since 1982, the United States has vetoed 32 United Nations Security Council resolutions that were critical of Israel, a number greater than the combined total of vetoes cast by all the other Security Council members. Former Ohio Congressman Jim Traficant confirms that Israel receives about $15 billion per annum from the United States.7 The Israel lobby’s power over American policy has harmed both America’s and Israel’s credibility with other nations who seek to establish meaningful peace in the region of the Middle East. This double standard remains consistent throughout Israeli rhetoric. Many times Israeli politicians will shake their fists with indignation at anyone who presumes to judge them or their actions. Israeli Prime Minister Ariel Sharon said, “Israel may have the right to put others on trial, but certainly no one has the right to put the Jewish people and the State of Israel on trial.”8 Does this make sense? Is it just for Christians to defend or ally themselves to a state that does not consider itself to be morally accountable? We should also ask whether Israel is a positive influence in America, seeing as America was founded as a Christian nation. Many evangelicals who offer unrelenting support for Israel suggest that Israel is an ally of Western civilization and can therefore help advance the cause of Christianity indirectly, even if they themselves do not believe in Christianity. This thinking is obviously wrongheaded. Israel consistently mocks and ridicules the Christian faith and commits absolutely damnable blasphemy on a routine basis. Many examples of these terrible blasphemies are documented and easily accessible.9 Christians in Israel are constantly harassed and are often abused and spit upon by Jewish rabbis, in addition to secular Jews.10 Rather than ignoring this anti-Christian hatred, we should apply the many biblical passages that condemn partnership and cooperation with the enemies of Christ. One of the most prominent is 2 Cor. 6:14, in which the apostle Paul tells us not to be unequally yoked with unbelievers. If ever there were a time when this principle should be applied with a vengeance, it is in regard to such blasphemous and anti-Christian behavior that we see displayed prominently in Israel. Finally, there are examples of Israel specifically subverting American and Western interests, and in the case of the USS Liberty, even attacking a peaceful American vessel. The USS Liberty was an American navy vessel that was attacked by Israeli bombers during the Six-Day War in June 1967. Those Americans who survived the assault have insisted that they were deliberately attacked. Yet, despite the murder of several innocent American sailors in the attack, Israel to this day maintains that the bombing of the Liberty be written off as a “mistake.”11 With allies like Israel, who needs terrorists? It should be apparent that Christian Zionists grossly misinterpret the meaning of Genesis 12:3 as it pertains to contemporary foreign policy issues. It is a grave misreading of this verse to think that it demands unconditional support for Jews regardless of their religion or the wickedness of modern Israel. Unvarying Christian teaching on the identity of Israel informs us that Israel in the covenantal sense is limited to God’s elect, whom He has chosen from the foundation of the world (Eph. 1:4). Those who abide in Christ are Abraham’s seed and heirs according to the promise (Gal. 3:29), and with Abraham, Christians will inherit the world (Rom. 4:13). In addition to explicitly being called the Israel of God (Gal. 6:16), the Church and Israel are described the same way throughout the Bible. Both Israel and the Church are described as a royal priesthood who offer acceptable sacrifices unto God (Ex. 19:6; 1 Pet. 2:9). With such clear biblical teaching on the issue of the identity of Israel, it is amazing that so many professed Christians get this important question wrong! It is a sad testament of Christians’ ignorance on so many important issues. The misapplication of Genesis 12:3 to the modern state of Israel is not an unimportant or abstract theological issue. This faulty Christian Zionist interpretation has deeply influenced our flawed foreign policy in the Middle East, convincing many Americans that our interests rest with unconditional support for the state of Israel in whatever conflict in which they embroil themselves. As a result, America has become inseparably hitched to a dubious ally who works behind our backs to control American policy through lobbies, campaign contributions, or even outright spying. There is also the bombing of the USS Liberty, which cannot be ignored or forgotten by genuine American patriots. Instead of being blessed for her unflagging support of Israel, America has rather experienced steady and progressive decline since Jews organized Israel and became a nation in 1948. I certainly do not mean to suggest that America’s support for Israel is the sole or even the primary cause of American decline; there is plenty of blame to be placed elsewhere. I merely mention this to show that America’s unwavering commitments to an anti-Christian state like Israel have unquestionably brought us harm rather than good. As Christians, we are not to be unequally yoked with unbelievers. America’s continued allegiance to the blasphemous and anti-Christian state of Israel makes a mockery of all for which Christians are supposed to stand. Israel’s continued sacrilege and derision of Christianity render her worthy of condemnation. We cannot expect God to continue to ignore the ongoing crimes of the Israelis against Palestinians, especially against Christian Palestinians, and we cannot possibly imagine that God will consider the American empire guiltless for financing and supporting a regime like Israel. For this reason, it is of utmost importance that Christians understand why Christian Zionism is false and reject it entirely, before Christ vomits us out of his mouth (Rev. 3:16).